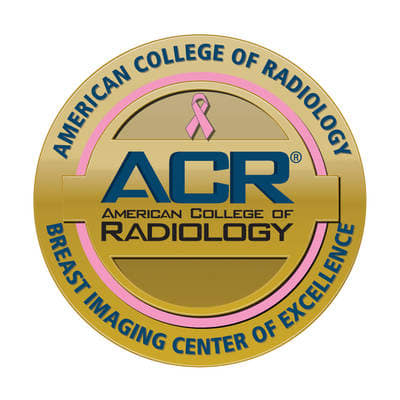 In recognition of our commitment to providing the highest quality care, the Middlesex Health Diagnostic Imaging facilities in Middletown and Westbrook are designated as American College of Radiology (ACR) Breast Imaging Centers of Excellence. The most advanced breast imaging services available in a compassionate, private setting. At Middlesex Health, our Breast Imaging Center of Excellence is one of many specialty services of our innovative Comprehensive Breast Center. We pride ourselves on offering a full complement of breast imaging services for the prevention and screening of breast disease, including breast cancer. We’re proud to offer our patients two of the most advanced breast imaging technologies: 3D Digital Breast Tomosynthesis and Molecular Breast Imaging. Brand new 3D mammograms allow radiologists to see all the layers of breast tissue like never before—resulting in a 40% increase in invasive cancer detection. And, if there are any issues that need a closer look, we’re the first health system in Connecticut with dual-head Molecular Breast Imaging, one of the most powerful new breast cancer detection tools available anywhere. Traditional 2-dimensional mammograms create a single image of the breast tissue—with all the overlapping layers combined into one, making it difficult to detect and identify potential cancers. But new 3D breast tomosynthesis takes multiple images of the breast using the same scanning machines, and it allows our expert radiologists to examine all the layers of breast tissue separately and from all different angles. That means our doctors can identify small breast cancers earlier, when they may have still been hidden from a traditional mammogram. It also allows doctors to be more accurate in determining the size, shape and type of any abnormalities, meaning fewer additional tests, fewer unnecessary biopsies and faster, better treatment if needed. Studies show that all of these benefits combine to result in a 15% reduction in call-backs for additional testing and up to a 40% increase in invasive cancer detection with 3D tomosynthesis over standard mammograms. At Middlesex Health, we’re proud to be the first health system in Connecticut to offer the latest dual-headed Molecular Breast Imaging (MBI) technology for our patients. When potential problems are found during a mammogram, an MBI procedure can produce razor sharp images of the breast to help radiologist to pinpoint the abnormality and make a definitive determination about its size, shape, location and type. And the test can be performed on an outpatient basis, with less radiation exposure and less discomfort—because the breast does not need to be compressed. Best of all, MBI scans can identify potential problems that other techniques—like conventional mammograms, ultrasounds or MRIs—can miss. And a better chance for early detection means a better chance for successful treatment. When necessary to find out if a lesion is malignant or benign, stereotactic core biopsies are performed by our radiologists to “sample” the area of concern using ultrasound, mammography or MRI imaging guidance. For patients who require a wider area biopsy or lumpectomy, needle localizations will be performed in conjunction with surgeons at the Surgicenter. To help keep patients’ stress levels at a minimum and place patients with positive test results in treatment as soon as possible, test results are usually available within 24-48 hours.